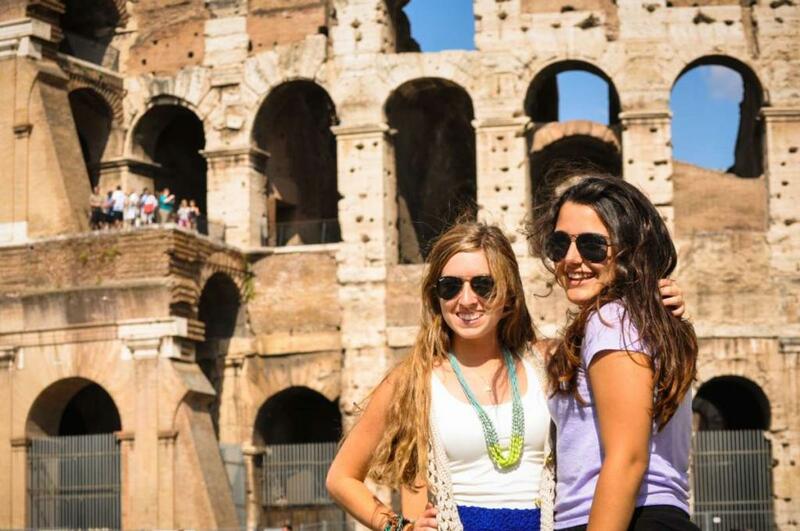 Fall in love with one of the world’s top destinations on our classic adventure through Italy this summer! 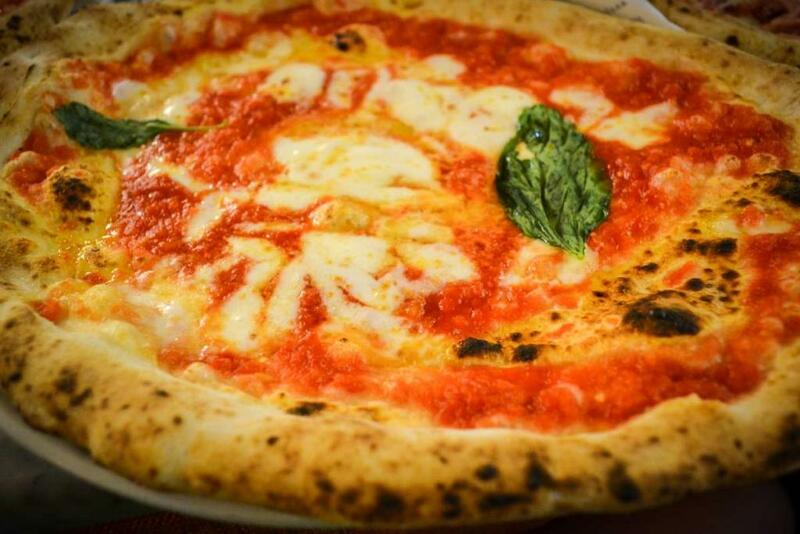 Discover the best of Italy’s mouthwatering cuisine, awe-inspiring art, charming villas and vineyards, fascinating history and ruins, and renowned shopping. With vibrant cities, the Tuscan countryside, and picture perfect coastline, you’ll experience everything that makes Italy so incredible and diverse. 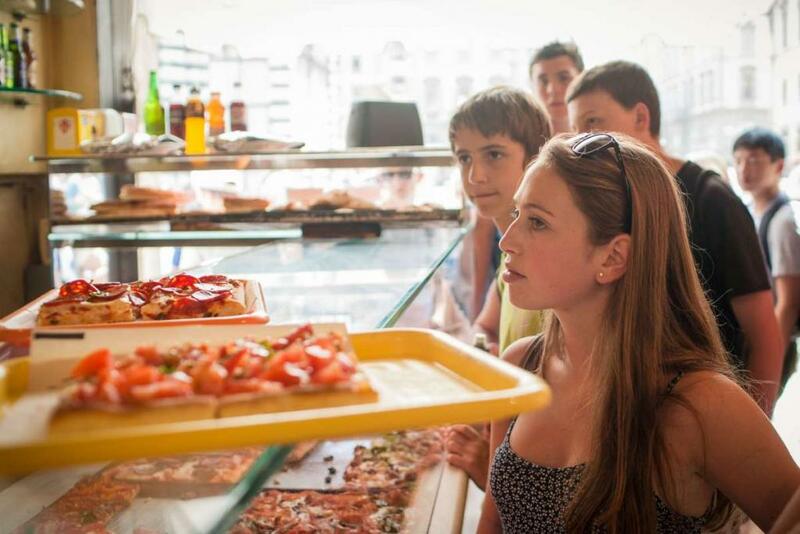 On this Italy Explorer program we will fully immerse ourselves in the Italian culture with cooking classes, gelato tours, gondola workshops, coastal hikes, and more! 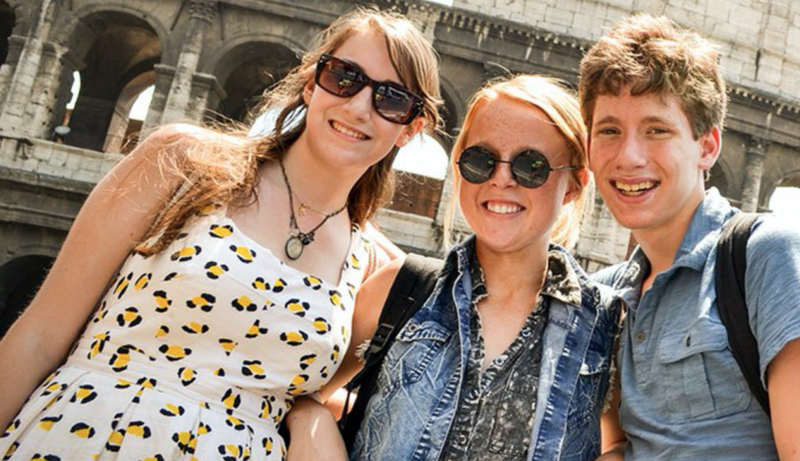 Don’t want your Italian adventure to end? Most travelers choose to extend their stay with a trip down to Naples, Sorrento and the Amalfi Coast on our Ultimate Italy program. 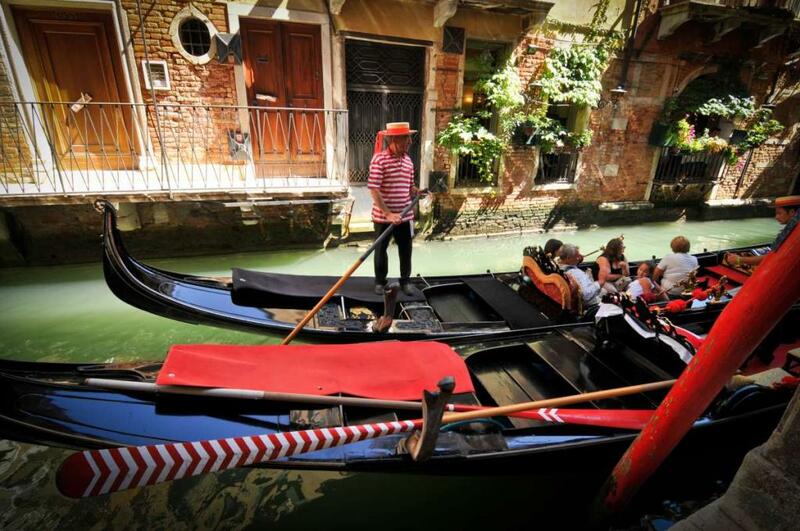 Our first stop is Venice – a dreamlike city of bridges and canals unlike any other in the world. 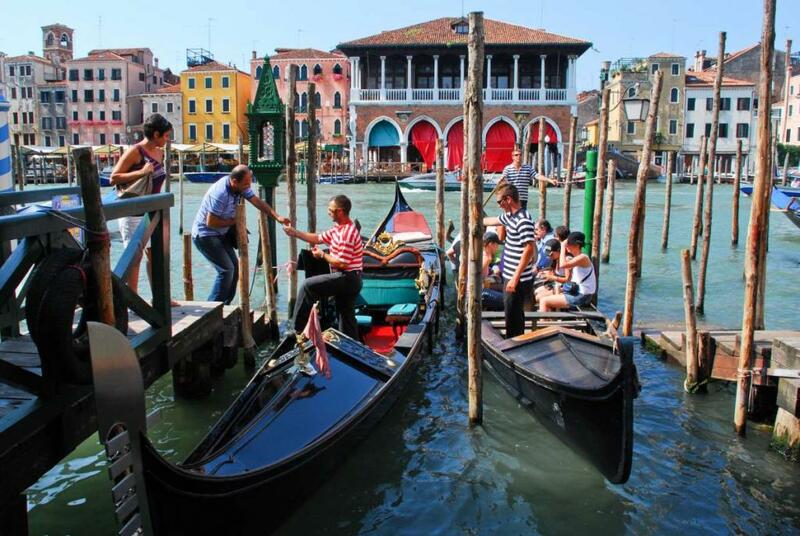 You’ll be amazed at the splendor of the Grand Canal lined with crumbling, decadent palaces. We will wander the city’s tangled streets, marveling at the colors and reflections that only Venice can offer. Marvel at the iconic St. Mark’s Basilica in the central square. Visit the classic Venetian Gothic-style Palace of the Doges, which was the seat of the Doge, the supreme authority in the Republic of Venice. This striking structure set along the edge of St Mark’s Square and the Grand Canal is has been converted into a massive internationally renowned museum. Get an insider’s look at the last gondola shop to learn about this centuries-old craft. The Gondola master is one of only five remaining craftsman left producing the iconic Gondolas that thrill tourists daily in the canals. Check out the Peggy Guggenheim Museum showcasing the eccentric Peggy’s private collection of unique modern art at the former villa where she spent many years amassing a huge array of art from legends like Pollock, Picasso and Dali. Venture to the island of Murano, the center of the ancient glassmaking industry and learn about first hand at an authentic Venetian workshop. Fall in love with the splendors of this Italian city in the lagoon that will surely leave its mark on you. Welcome to the Cinque Terre, which is one of Italy’s hidden gems! Often referred to as the Italian Riviera, this region is home to five idyllic fishing villages with pastel colored houses perched on dramatic cliffs that plunge into the crystal-blue waters of the Mediterranean Sea. 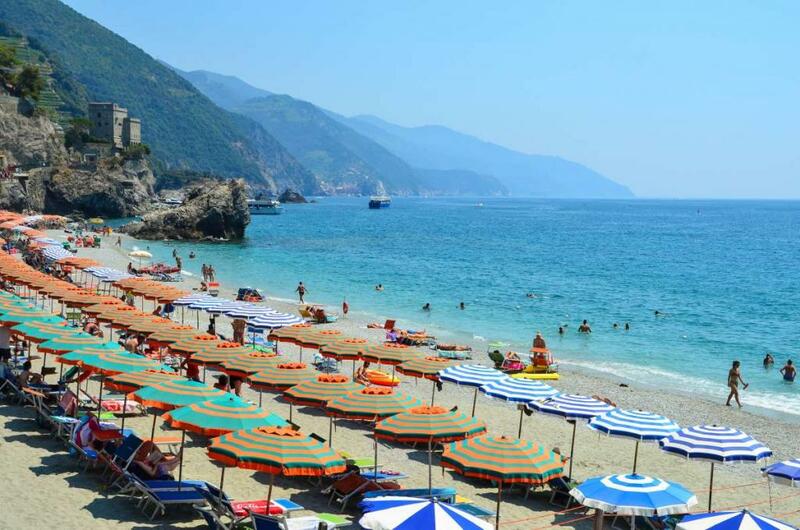 We stay right in the center of one of the villages (Monterosso) just steps from the beach! We do not stay outside the towns in La Spezia (technically not part of the Cinque Terre). Instead, we are right in the middle of everything and able to walk just a few steps to the beach or charming shops. In Monterosso we have established strong relationships with the locals from some of the service projects we have done there in the past, and you will see you are treated like family during your stay here! 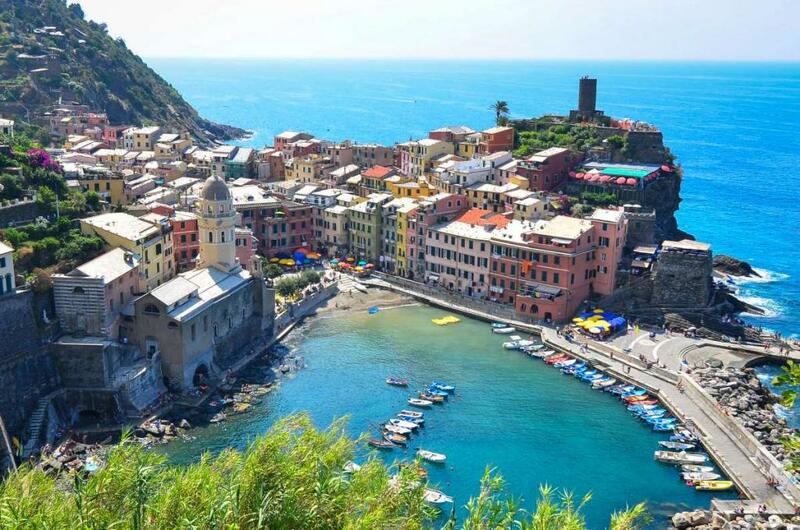 The Cinque Terre is known for its spectacular hiking trails that connect the towns and we will have the opportunity to hike them for ourselves! On the hike we will enjoy spectacular views of the sea and the vineyards that line the cliffs and be inspired by the natural beauty in this region. During our time here we will also sample local specialties like pesto and focaccia. We’ll dine on fresh seafood and relax on the beach in our seaside paradise. 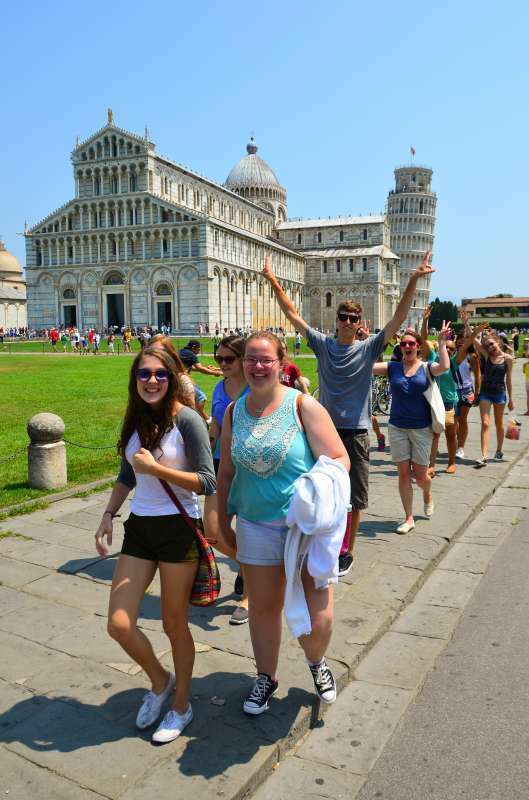 Then we’re off to Florence, with first a stop in Pisa to get that iconic photo of the Leaning Tower. 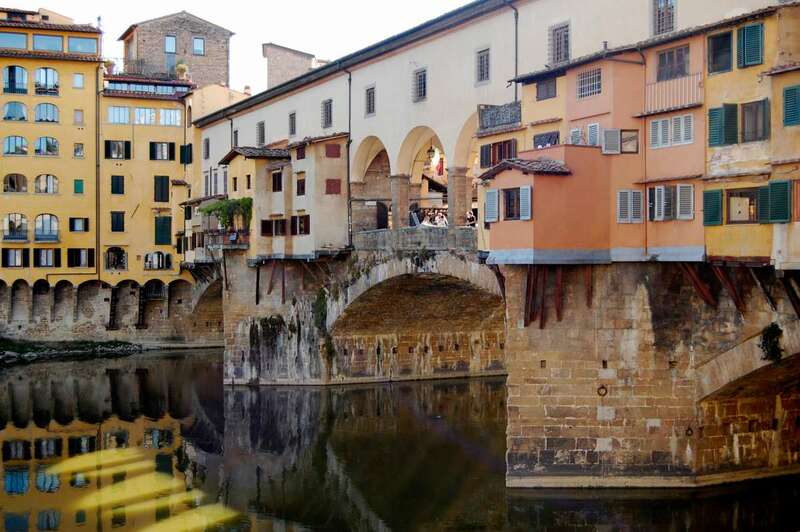 Then it’s time to discover Firenze, the city most often referred to as an outdoor museum. Every turn in this beautiful city reveals a new statue, fountain or fresco. In the birthplace of the Italian Renaissance, we’ll see Michelangelo’s famous “David,” climb to the top of the Duomo, and visit the Uffizi Museum, which houses the best collection of Italian Renaissance art in the world. Art and culture are not all that are in store for us in Florence, however. We’ll shop in the city’s famous markets and go to an exclusive event at one of the best leather shops in the city. 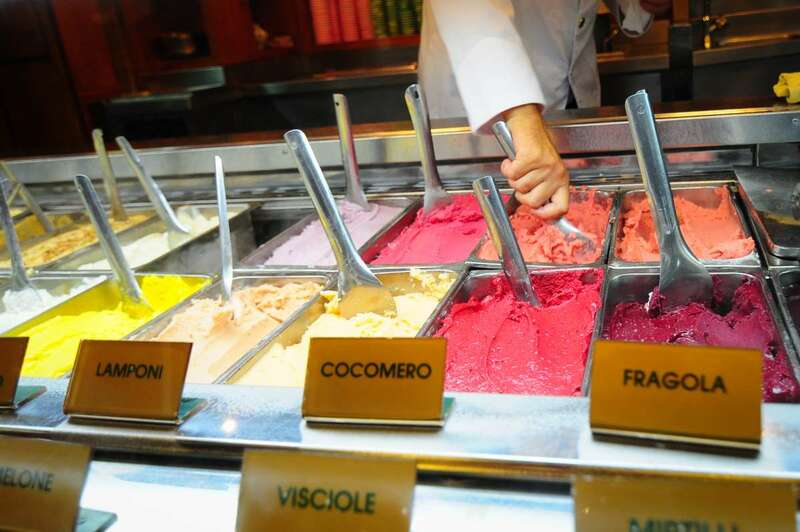 We’ll enjoy the best pizzeria in the city and challenge ourselves to go all the way on TFT’s famous gelato tour! No trip to Italy is complete without visiting the rolling Tuscan hills. Tuscany, where we will spend our time at a gorgeous 500-year-old estate in the legendary Tuscan countryside. Bike or walk along the grounds, which are still used as a working cattle farm, and take a dip in the pool before enjoying a sunset you’ll never forget. 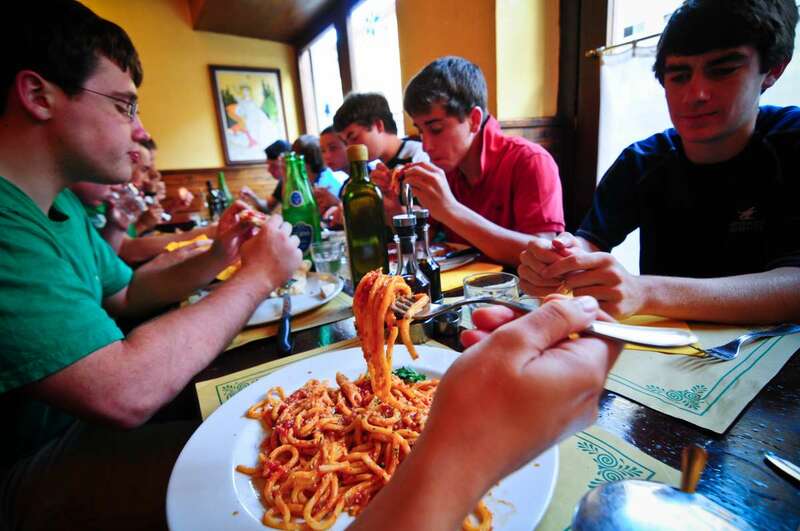 Here too we’ll get a hands-on cooking lesson from expert Italian chefs, and we’ll also take a day trip to Montalcino, one of Italy’s loveliest cities. We’ll stroll the quaint cobblestoned streets of the hill town of Montalcino. Visit its beautiful medieval church and cathedral and check out the grand fortress before heading to the nearby town of San Quirico d’Orcia for some breathtaking views of this famous region. We’ll arrive in the Eternal City where a long and mighty history awaits us. 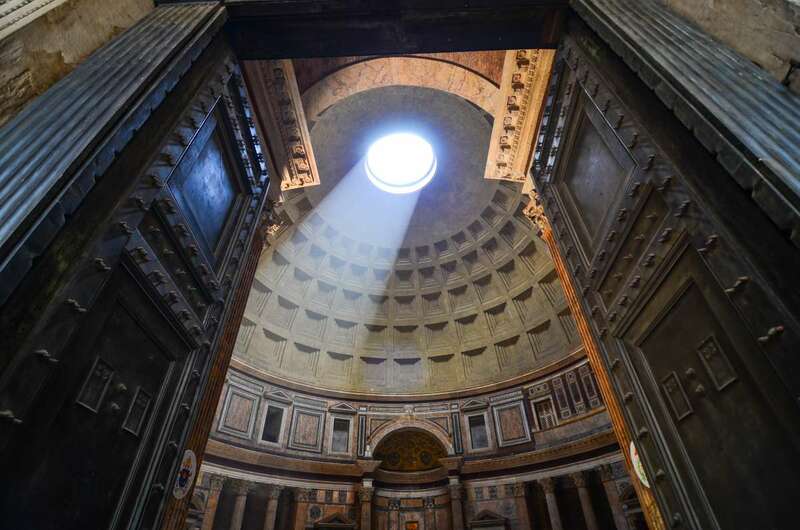 As the city streets buzz with antiquity around every corner, you’ll be in awe as we transport ourselves thousands of years back in time while exploring the most important monuments and structures. 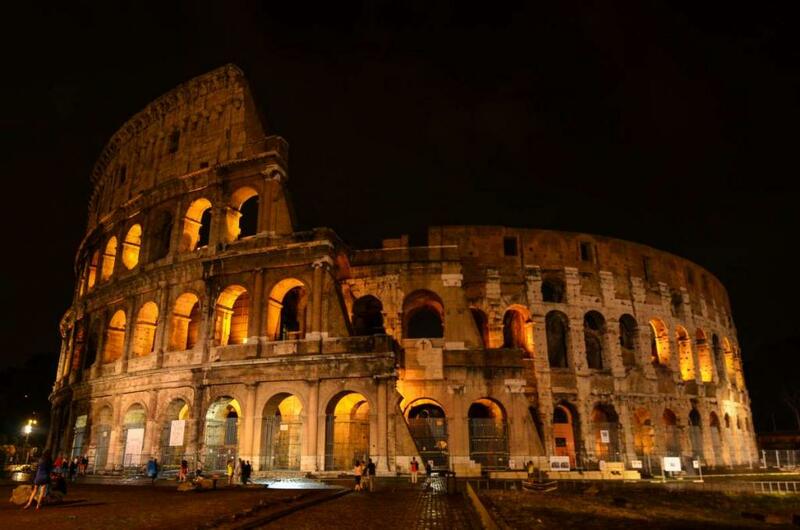 From the Colosseum, where we’ll try to imagine the bloody spectacle of gladiator competition, to the Roman Forum, which once housed the ancient city’s bustling center and main marketplace. 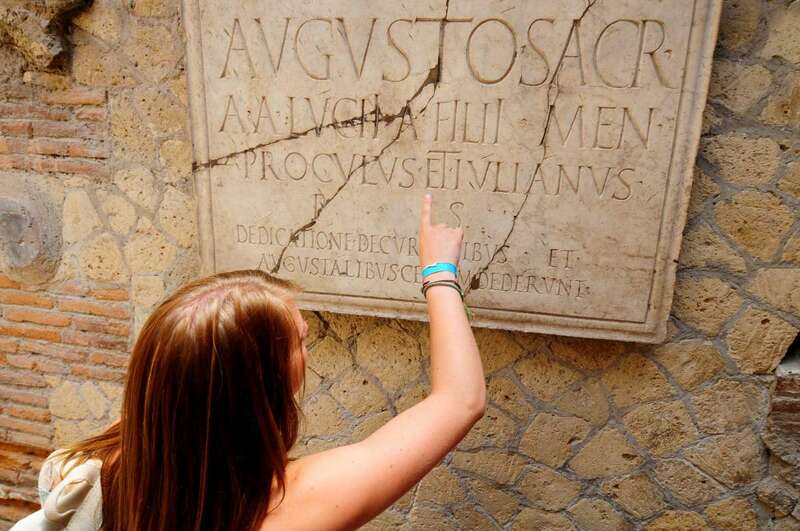 There’s no better way to learn about the Roman Empire than with a view of the city from atop the Palatine Hill–the very place where it all began. We’ll then fast-forward to the Renaissance, crossing the Tiber to Vatican City and marvel at the massive basilica dedicated to St. Peter. We’ll lose ourselves in the Vatican’s extensive collection of artistic masterpieces from the ancient world to the present day, culminating with a look at Michelangelo’s elaborate ceiling frescos in the Sistine Chapel. We’ll stroll down the Tiber and venture slightly off the beaten path to Trastevere, one of Rome’s hippest neighborhoods, to see the local Romans in action and indulge in some of the best food in the city, including fresh homemade pastas and pizza “al taglio.” We’ll shop on the famous Via del Corso, toss a coin over our shoulders into the Trevi Fountain, and hang out on the Spanish Steps enjoying a classic Roman night of simply relaxing in the summer air of a beautiful piazza. In Venice we stay at a hotel located on a beautiful piazza only a short walk from the train station. In the Cinque Terre we will be staying in a lovely family-run hotel located only steps from the best beach in town. In Florence we stay in a beautiful hotel a short distance from the Duomo. When in Tuscany we have the pleasure of staying at a beautiful estate in the rolling hills of the countryside. 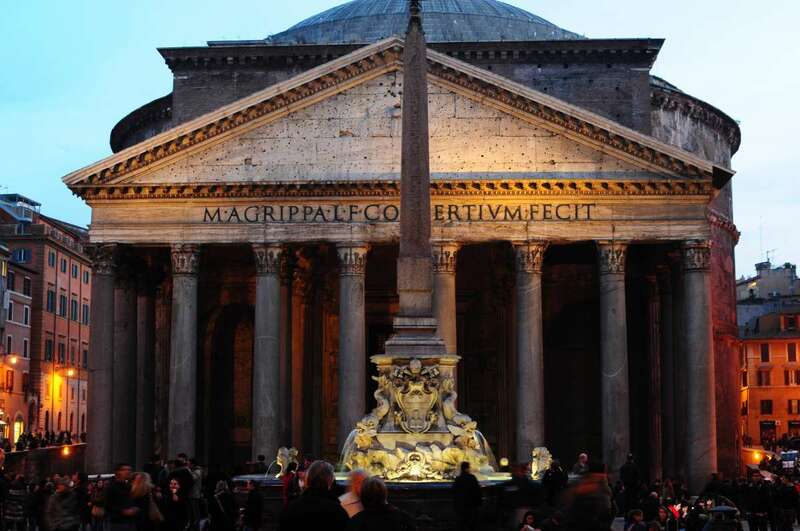 In Rome we’ll be staying at an elegant hotel near the central Piazza Santa Maria Maggiore, close to both the Colosseum and the main train station. 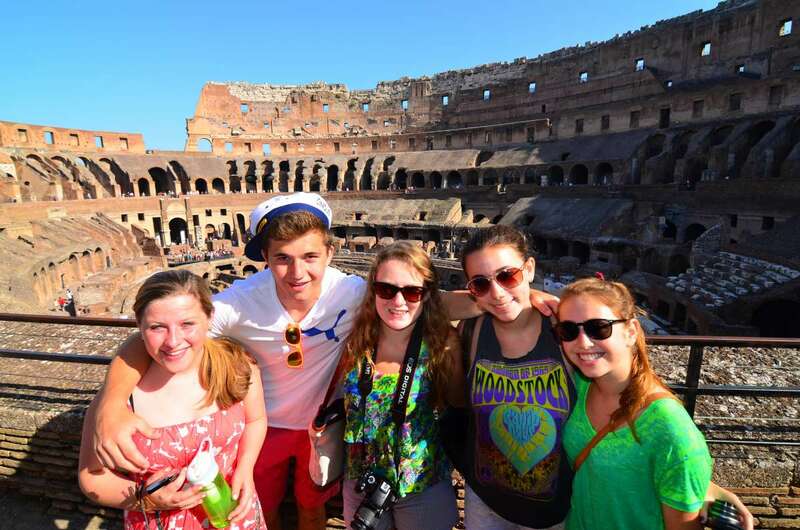 Students love that they are able to explore the best of Italy, from the major cities and small towns to the coast and the countryside. This program allows them to discover Italy in all its unique glory, and unearth one of the most lovable cultures in the world. 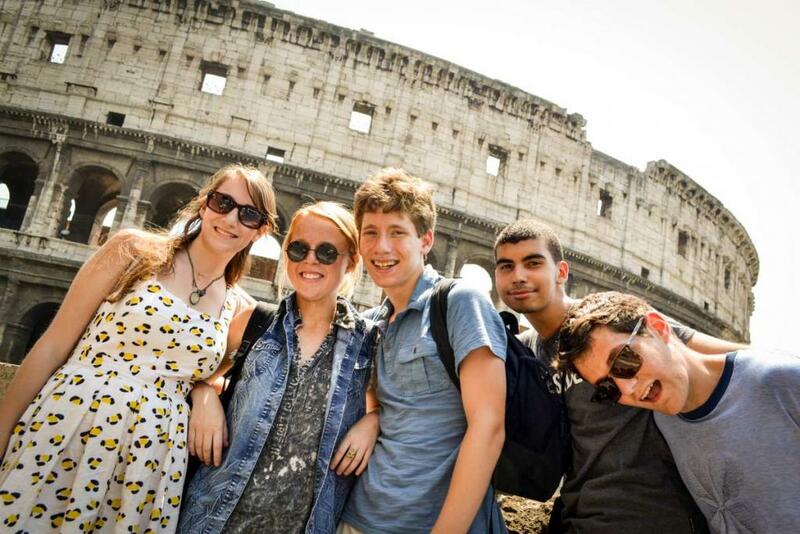 From exclusive accommodation at a Tuscan villa in the countryside, to a hands-on learning experience at a gondola workshop in Venice and TFT’s expertise in leading programs through Italy for over a decade, this program provides unparalleled insider access to this beautiful country. "There are so many amazing places in Italy, it seems impossible to see all the famous and breathtaking sights in one trip, right? WRONG! I had always wanted to travel throughout Italy to get a chance to explore both the countryside of Tuscany and the beaches of Cinque Terre, and this trip was the perfect way to do just that. The activities on this trip ranged from a vast variety of making homemade pesto in a local Italian restaurant in Monterosso to climbing up the steep and slanted stairs of the Duomo in Florence. Whether I was hiking along the breathtaking views of the Cinque Terre trails or attempting to take a clever photo holding up the Leaning Tower of Pisa, I was never found without a smile on my face. The friendships I made on this trip are still strong to this day, and the memories and experiences were unforgettable."